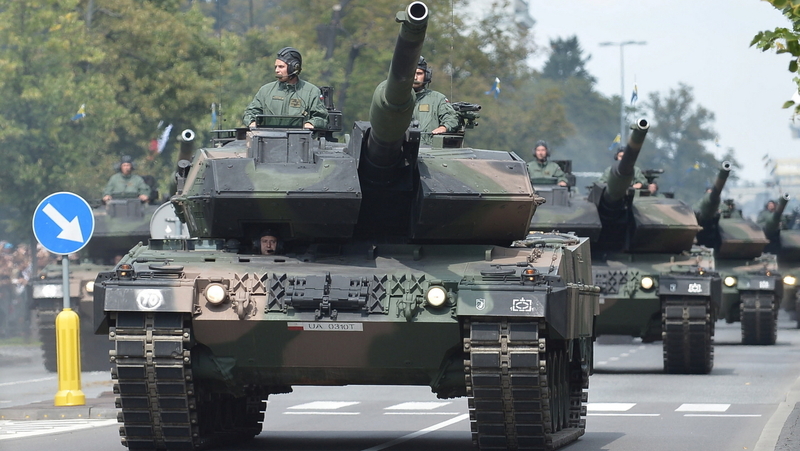 Poland’s 2013-2022 Military Modernization Plan 3.125 out of 5 based on 8 ratings. 8 user reviews. The Armed Forces of the Polish Republic are still in the main using post-Soviet equipment purchased from Warsaw Pact countries or built on license in Poland. Modern weapons procured after 1989, and weapons that were built or modernized domestically are a small proportion of the overall equipment park. The Polish Army (WP) has faced a difficult task of modernization. It still maintains in service aging or obsolete small arms such as the AKM rifle which should only be used to reserve or territorial units, not professional soldiers! Fortunately, this is not the worst of problems and most of obsolete small arms will be withdrawn and replaced by new models. Competitions for new weapons are under way. 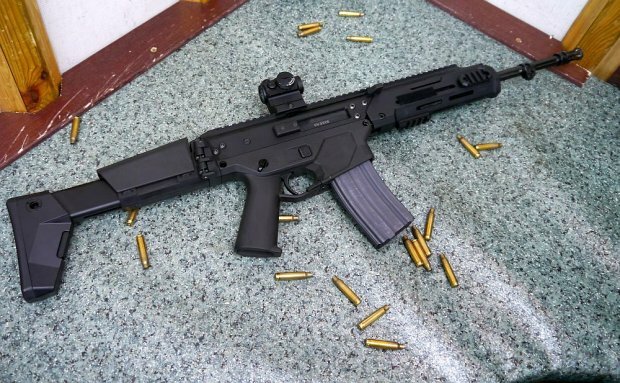 A number of small arms types, including the Beryl assault rifle and UKM-2000 machine-gun, are modern and can remain in service for many years. They are to be supplemented by the new MSBS rifle system which is expected to enter production in 2018. Mortars such as the 120mm wz. 1943 and 2B11 Sani are obsolete and will be replaced in coming years by M120K Rak self-propelled mortars whose production is to begin shortly. Metys and Fagot ATGMs will have to be withdrawn in coming years and replaced something else. Strela-2M SAMs are also obsolete. The Polish-made Grom SAMs, on the other hand, are one of the best weapons in their class and could remain for years after being upgraded to the Piorun standard. When it comes to tanks, situation has improved slightly in the last year. It was possible to decomission over 100 T-72s and replace them with WP’s most modern MBTs, Leopard 2A5s. It allowed the reform of two neglected armored brigades. Leopard 2A4 and 2A5 are comparatively modern designs which are suitable for the modern battlefield. They equip 4 tank battalions (232 tanks). They have, however, served between 20 and 30 years in the Bundeswehr. It means that the tanks are heavily used up and many of their subsystems demand replacement, which means they ought to be thoroughly overhauled and brought to a level equivalent to Leopard 2A7/A7. The improvement program named Leopard 2PL is suffering considerable delays. When it comes to the PT-91, they are an effective modernization of Soviet T-72s. They equip 4 tank battalions (232 tanks). The oldest entered service in 1995, the newest in 2002. Baseline T-72s, on the other hand, which equip 3 tank battalions (169 tans) are badly obsolete and should be withdrawn quickly. The opportunity to upgrade them was lost 15 years ago. Two years ago, the Direct Support Vehicle (WWB) Gepard mock-up was demonstrated for the first time, under the working name of PL-01 Concept. That vehicle looked like it came straight off a sci-fi movie set. Of course, it was only a mock-up on CV-90 chassis. We are supposed to see its fully operational prototype in 2016 and the vehicle is to enter production in 2018. But will that hurried development influence the new design? We have to maintain faith in our designers (which was badly shaken after the Krab self-propelled howitzer problems) that the result will not be a fiasco but an ultra-modern tank. The situation with the BWP-1 IFVs is also dire. They equip 19 battalions (16 mechanized, 2 motorized, and 1 mountain), which gives a total of 1,000 vehicles, the most widely used armored vehicle in the WP. Its weapons are obsolete and ineffective against modern weapons, and its armor protection does not ensure the crew’s and dismounts’ safety. Other European countries modernized their fleets to resemble the Soviet BMP-1P with a more modern Konkurs/Fagot launcher, while Romanians procured Israeli 25mm turrets for their MLI-84M1. Polish BWP-1s were not modernized in any way in spite of the BMP-1M Puma project. Therefore they are suitable only for decommissioning. Work on a new IFV for the WP, the Borsuk, began in 2015. The prototype is to be ready by the end of 2016, and the vehicle is to enter production in 2019. The rapidity with which the project is being implemented nevertheless carries considerable risks, as in the case of the Gepard. KTO Rosomak is one of the most modern wheeled APCs in the world. The choice of the vehicle was brilliant. It has served in the WP for 10 years, and some 570 vehicles have been produced, of which more than a dozen were lost in Afghanistan. But it equips only 4 motorized battalions (with 232 vehicles). About 150 vehicles were being used by the Afghanistan and Chad rotations, and one can assume they will equip two more motorized battalions in motorized brigades which still use BWP-1. That leaves 100 Rosomaks missing, which are probably awaiting receipt by the military at the factories and lack specialized equipment (Rak mortar, etc.). Rosomak’s biggest weakness is that it is not fitted to fire Spike ATGMs, which would give the vehicle ability to destroy MBTs. Temporary fixes like the “spike-bus” Rosomak-S, which is used to carry two Spike firing sections would likely not pass the test of fire. Some of the additional 307 Rosomaks ordered as specialized vehicles will receive ZSSW-30 remote turrets with Spile launchers. BRDM-2 armored cars have served with the WP for 50 years and are obsolete. They still equip reconnaissance companies of mechanized brigades and reconnaissance regiments, in spite of being worn out, poorly armored, and equipped with obsolete vision equipment. The modernized BRDM-2 named Zbik/Szakal is comparably modern and could serve for at least a decade. BWA new reconnaissance vehicle is to enter service in 2019. Howitzer artillery units are armed with Soviet 2S1 and Czechoslovak Dana, which are both aging. They were modernized by the addition of TOPAZ automated fire direction system. They equip artillery battalions of mechanized and armored brigades and artillery brigades. Both of these types are to be completely replaced by new Polish Krab and Kryl howitzers. Rocket artillery uses obsolete BM-21 Grad, Czechoslovak RM-70, and Polish WR-40 Langusta. The first two types are to be replaced by the WR-300 Homar which is still under development. 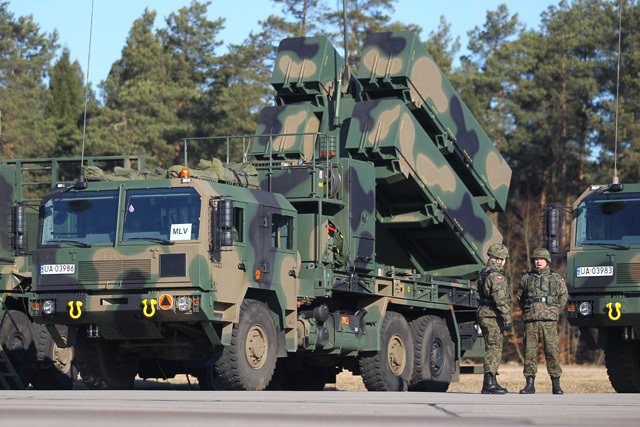 The WR-40 is a Polish upgrade of the BM-21 and can serve for many more years. The ZSU-23-4 is by now archaic, though the upgraded ZSU-23-4MP Biala can remain in service for many more years. 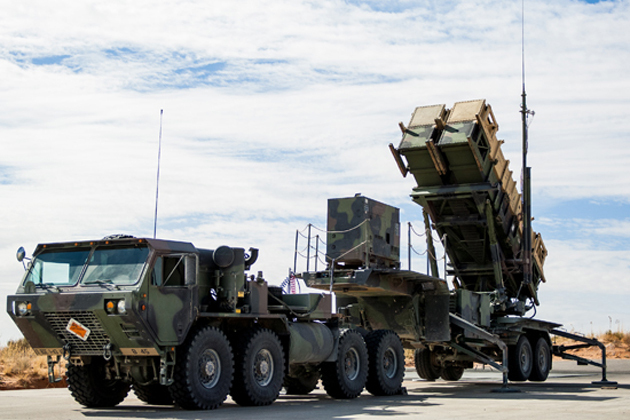 Poprad air defense system is to enter service in 2016 and replace some of the oldest short-range air defense weapons. 2K12 Kub is too outdated to modernize, but some 9K33 Osa systems will be upgraded to Osa-P. Ultimately they will be replaced by the winner of the Narew competition to acquire medium-range air-defense weapons. When it comes to helicopters, the majority of multi-purpose Mi-2 and Mi-8/-17 will be withdrawn in the next few years and replaced by a new helicopter to be determined in the course of ongoing competition. Even though the Airbus Helicopters’ Caracal was reported as having won, the new Polish goverment annulled the results of the tender and announced a new competition to be held. Mi-24 attack helos will also be withdrawn and replaced by the Kruk competition winner, where entries so far include the AH-64, AH-1Z, Eurocopter Tiger, AW-129 Mangusta, Rooivalk, and even Turkey’s T-129. The fighter-bomber aviation will be reduced from 111 to 82 aircraft by withdrawing 14 unmodernized Su-22s and 15 MiG-29s. Upgraded Su-22s will remain in service for at least another 10 years before being withdrawn. 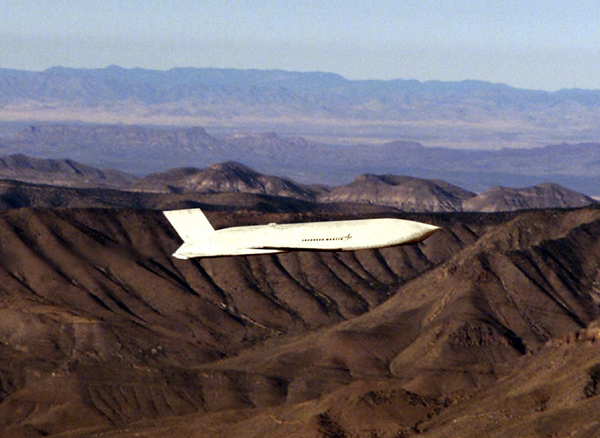 The F-16C/D will remain in service for at least another 20-25 years, and recently received a delivery of 40 JASSM missiles from the United States. 8 Italian Aermacchi M-346 advanced jet trainers procurement is ongoing. The situation is worst of all in the Navy. The most modern ships in service are the Orkan missile boats which entered service 20 years ago. The corvette Kaszub has been in service for almost 30 years. Two Oliver Hazard Perry frigates were transferred to Poland after 20 years of intensive USN service, and then served another dozen years under the Polish flag. The single Kilo submarine has been in service for 30 years. These ships must be replaced by 2030 at the latest, even though they are the newest and best Polish warships. Apart from that, the four Project 207 Kobben subs were launched in the ’60s and served almost 30 years in the Norwegian Navy before their transfer to Poland, where they served another decade. The only reason for satisfaction is the Coastal Missile Squadron [with Norwegian NSM missiles capable of land-attack role] and the contract for another squadron. Special Forces are in the best shape of all. Al of their equipment is modern and battle tested. They are the pride and joy of the Polish Ministry of Defense which is why they are maintained at such a high level. To sum up: Poland’s armed forces are still using mostly obsolete equipment, with only small proportion of it being truly modern. If the funding available for modernization were used more effectively, Poland would have many new weapons systems, and much of what is being used would have been consigned to museums. The next 10 years will be crucial for the WP, because the service life of most post-Soviet weapon systems will finally expire. They will have to be withdrawn from service and replaced with new, modern ones in a fluid enough fashion to ensure Poland’s tankers, pilots, and sailors were not deprived of their ability to fight. One can only hope that the current programs will not be delayed as in the past, and will be 100% successful. The only thing remaining is to await the outcome of the 2013-2022 modernization plan. J.Hawk’s Comment: Two key conclusions that can be drawn from this and other similar recent materials are that, first, Poland no longer has the ability to design modern weapon systems other than small arms, and second, it is facing an avalanche of very costly and possibly over-ambitious procurement programs in the next few years. They include upgrading the badly worn-out Leopard 2 tank fleet, procuring 400 modern IFVs, 300 light tanks, over 100 artillery weapons, 30 attack helicopters, 80 general purpose helicopters, 3 submarines, 3 light frigates, medium- and long-range air defense systems, not counting many other weapon systems, down to assault rifles, which are also on the planning list. But there is no way by which all of these plans can come to fruition. The planned equipment levels are comparable to countries like France or Germany which, even though far wealthier, cannot afford to maintain armored vehicle fleets any more, and have not pursued so many modernization projects simultaneously. Poland is thus facing “structural disarmament” due to its inability to replace its current equipment park and is likely to lose come capabilities (like, for example, attack helicopters) altogether. One has to wonder what the political implications will be, especially since they threaten to undermine the current Polish leadership’s to transform the country into the most powerful state in Central Europe. And yet at the moment its technical capabilities are inferior to even Ukraine’s. Will that force a reassessment of the policy of antagonizing the country’s both eastern and western neighbors and expanding one’s influence into former parts of the pre-18th Century Polish Commonwealth (Ukraine, Belarus, Baltics), or is the current leadership of the country hoping that the Anglo-Saxon powers will view Poland’s belligerent policies as consistent with their aims and back it militarily and politically? At the moment, all the indicators point at the latter option, even though it threatens to plunge the country into an untenable and even dangerous position. I did not make the inventory list, but Poland has no money. Should they modernize, their children and grand children up to the 22-nd century are financially ruined. and it is good, if they are. atm the economy is in weird situation, but slowly they are getting richer. (emerging economy, similar to Russia, Hungary, China, Argentina, etc). the world is shifting to the emerging nations. Polands problems is low fertility rate which means in future they will be weaker due to man power. 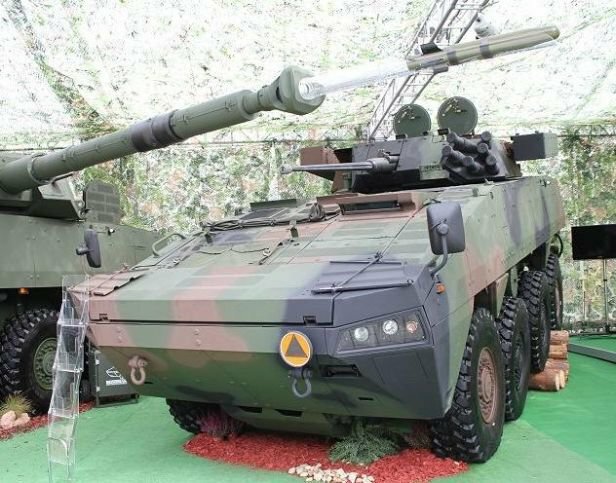 Polish investments in military hardware is overdue. If money is lacking, they, like anybody else, will have to prioritize. Cooperation can also speed up modernisation. Naval cooperation with baltic countries seems obvious. Combined divisions with Germany seems also a viable option. New Polish government seems to be motivated by Mr. Putin’s exploits in Ukraine. I believe it was Napoleon who quipped “A country unwilling to pay for its own army is doomed to pay for someone else’s troops”..
Ukrainian situation has many players involved. Poland shouldnt worry unless Russia takes most of Ukraine (it wont happen). Poland should reduce tension with Russia. Airforce: buy some Grippens, some cheaper new Russian jets, DO NOT buy F35 or F16. if want American jets try another kind. it will save money.